Shopping for a new Jeep Wrangler or Dodge Journey near Huntingdon? Even if you’re in the market for a used vehicle, it’s a smart idea to trade in your current vehicle for added savings. Taking advantage of the Price Motor Sales car trade-in value calculator will give you a dependable estimate on your current vehicle, which will give you a better idea of what your budget should be during the car-buying process. 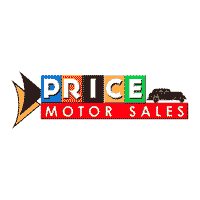 By submitting this form you agree to be contacted by a Price Motor Sales staff member. Using the Car Trade-In Value Calculator Is Simple! All you need to do is enter your vehicle’s basic information, like the year, make, model, VIN, and other required fields. Soon after, a Price Motor Sales associate will reach out to you regarding the next steps. Of course, if you have any questions about using the trade-in value calculator or would like to schedule a test drive in a new Chrysler, Dodge, Jeep, Ram model, you’re welcome to contact us anytime. We look forward to helping you find your dream vehicle for your Mount Union and Altoona commutes!